A descendent of Parson Main donated $2000 and local citizens donated $3865. 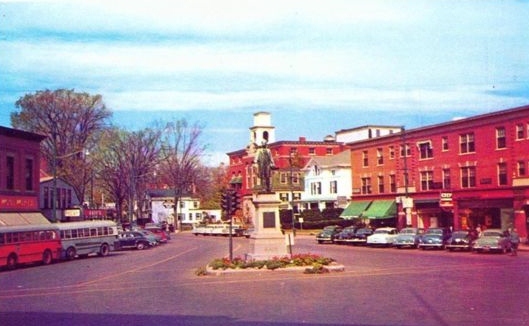 The 12 foot tall base and pedestal were cut from Concord granite by Ola Anderson. The 9 foot tall bronze figure was sculptured by Giuseppi Moretti who became a world renowned sculptor. It was cast by the Henry Bonnard Bronze Company, a well known New York City art foundry. Although often called a statue of Parson Main, it is the artist’s conception of an 18th century man. No one knows what Parson Main looked like. The statue was dedicated on July 3, 1896. The square was a solid mass of people with every available store and office window and flat roof used by spectators. Most of Rochester’s 8000 residents, as well as visitors from surrounding towns, were eager to see the new monument. The area around the statue has seen many changes. 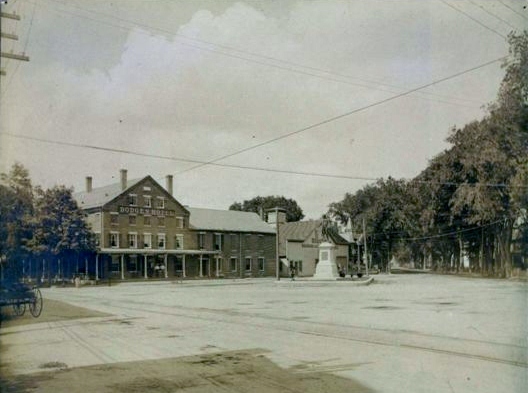 In the mid 1900s busses stopped by Woolworth’s Store, traffic went around the monument, and a stoplight was beside it. Horses were replaced by automobiles which at various times went around it in a variety of traffic patterns. 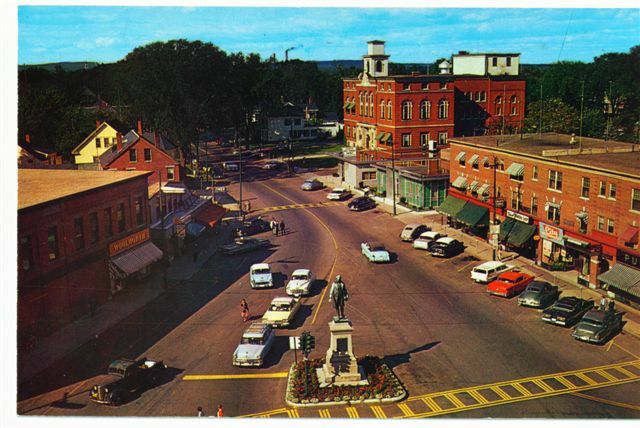 In 1983 a major downtown revitalization project included the area around the statue. A larger park with benches and a pedestrian plaza was built and trees were planted. 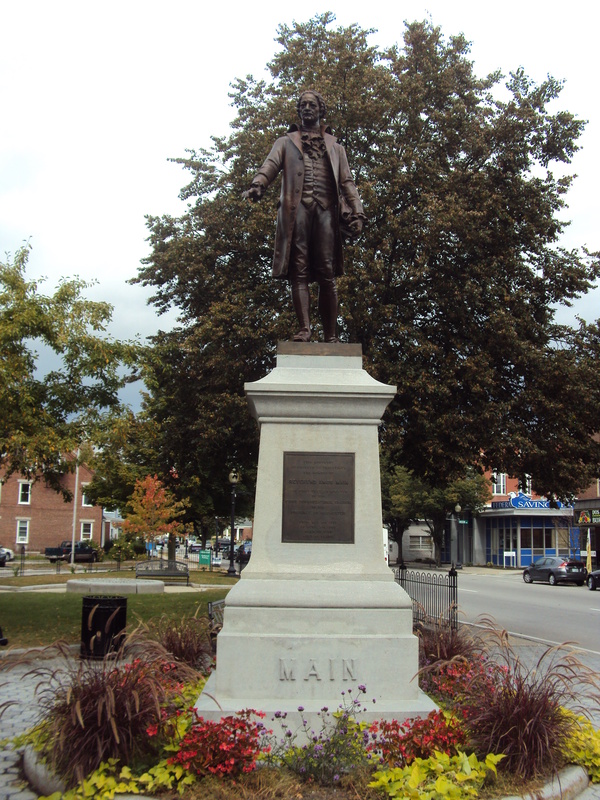 The statue remained the historic centerpiece of Rochester’s Central Square.